This entry was posted in ANZAC, Australia, Events, High Commission, Invitation, New Zealand on April 26, 2017 by Jenny Gates. 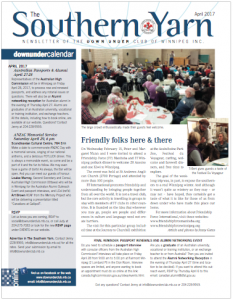 The April 2017 issue of The Southern Yarn is here for your reading. 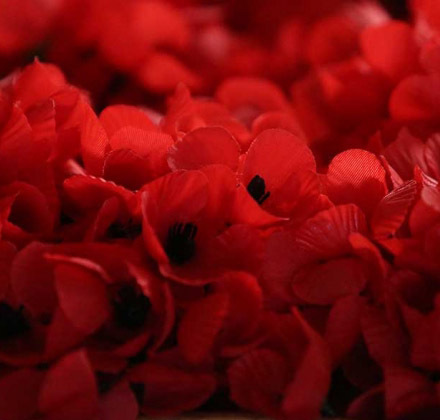 We mark the 100th anniversary of Vimy Ridge, along with the 150th year of Canada. Lots of news items for everyone. Note: [April 25] Some important location changes for the passports appointments and the alumni event. Read the bottom of page one. This entry was posted in Commonwealth Corner, Events, Getting to Know, High Commission, New Zealand, Yarn on April 9, 2017 by Hydesmith. Representatives of the AHC are definitely coming to Winnipeg in late April 2017. Final dates and details to be decided, but this is the perfect opportunity for anyone wanting to renew their passport, apply for a new passport, or address any notarial issues or questions. Once dates are finalised, you will be able to make a booking through the AHC’s website. As part of the AHC’s consular and passport outreach, if there is sufficient interest, they will also host an Alumni networking reception for Australian alumni in the Winnipeg area. Alumni are graduates of an Australian university, vocational or training institution and living in the Winnipeg area. Exchange teachers who have taught at Australian schools or Australian teachers who are currently on exchange, teaching in the Winnipeg area, are also welcome to be part of this event. If you are an alumni, please contact us at info@downunderclub.mb.ca so we can add your name to the contact list and forward you additional information. This entry was posted in Australia, Events, High Commission, Membership on October 27, 2016 by Jenny Gates. 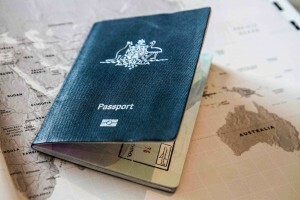 Need to apply for or renew your Australian passport? Want to attend an information evening about “Australian Government Services”? 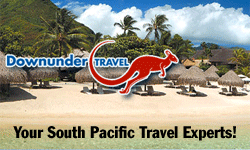 Want to catch up with other Aussies from Winnipeg and Manitoba? Then this is your opportunity, so don’t delay. 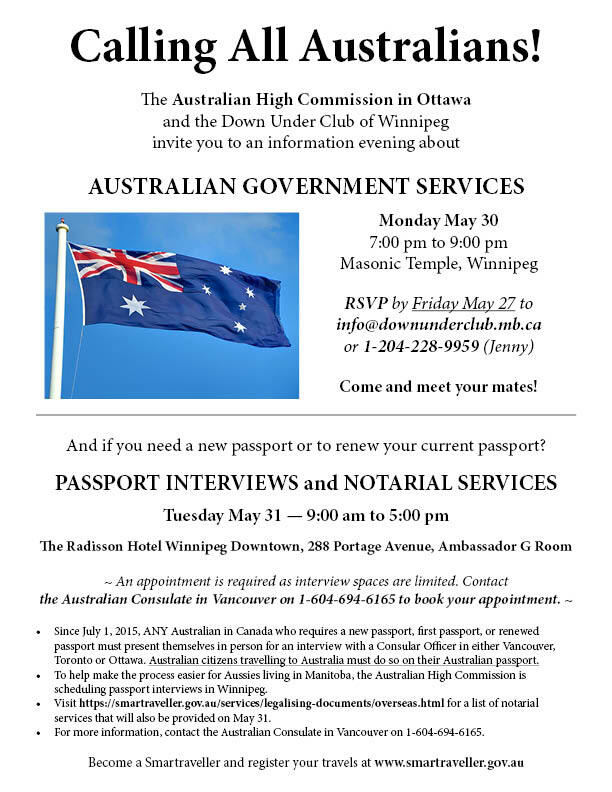 Book an appointment for Tuesday May 31 (1-604-694-6165), and RSVP (info@downunderclub.mb.ca) to attend a meet and greet with other Aussies and representatives from the Australian High Commission on Monday May 30. And spread the word to your Aussie mates so more people can take advantage of when the Australian High Commission comes to town. For additional information, contact Jenny at info@downunderclub.mb.ca or 204-228-9959. This entry was posted in Australia, Events, High Commission on May 20, 2016 by Jenny Gates.